I have always tried to encourage both of my boys to enjoy reading and we have always been fairly regular visitors of our local libraries. Both boys have library cards and do love to visit as often as we can. Lately though, I've found that my Eldest in particular had more interest in sitting by the window and watching the cars and trucks go past than in choosing books to read. I'd go through the picture books and try to find books about trains or dragons or pirates, but he was never that enthusiastic. We'd check the books out and he would forget about them. The only books that maintained his interest are the series of books about Thomas the Tank Engine and his friends. Unfortunately, these books are very popular and aren't always available every time we visit :( I really wanted to find something, anything that would keep my inquisitive Eldest child interested in reading. And then my mother-in-law bought Eldest his own book about the history of trains, and I could have kicked myself for such an obvious answer. Of course Eldest would be interested in a non-fiction book about trains. He's the most curious little boy I've ever met. His questions are endless and mostly aimed at finding out HOW THINGS WORK. Of course Eldest would much prefer to read a book ABOUT trains rather than a story about trains. Why did I not think of it sooner? Usborne Discovery Trains - A fabulously illustrated journey through the history of trains, from the early steam giants to the latest bullet-shaped machines. Eldest absolutely adores this book. The bit he was particularly interested in, is the tube train in London, which we've taken him on several times. He was absolutely fascinated to know that at first roads were dug up with the tube tunnels built underneath them. Another thing that took his fancy, were the shape of the trains. He even understands the word 'aerodynamic' and it makes me all proud of him when he uses it in a sentence. 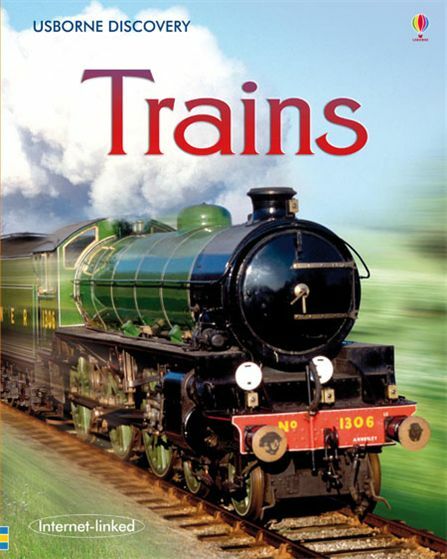 I remember quite a few times, when I've been sat on the sofa with my book and Eldest had this book open and was explaining to his little brother how the trains worked and the things that he'd learned. It's fantastic. DK Dinosaur Encyclopedia - From the first sea mammals to fierce dinosaurs, this inspiring reference book takes children on a fantastic journey into the prehistoric world. For nearly two weeks, Eldest and I had been working our way through this book after his homework. 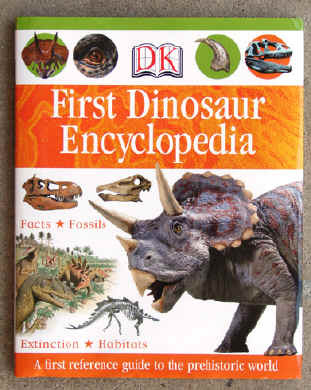 He adores dinosaurs and this is divided quite nicely into different sections for him and it's pretty extensive. Meat-eating dinosaurs, plant-eating. The three different eras (eras?) in which dinosaurs lived. Hunting and the different defensive skills the dinosaurs had. All little boys are fascinated by dinosaurs, right? This book was perfect for my 4 year old. It kept him highly entertained and I loved how much he enjoyed learning about it all. DK Eyewitness Castle - This book on castles transports readers back to the world of medieval fortifications to meet the people who built them and lived inside them. 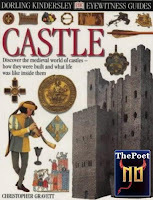 Readers explore the first earth-and-timber castles, take part in a siege, watch the community of lords and ladies, jesters, pages going about their daily lives – even peek into the Great Hall and deep down into the dungeons. The striking photography and well-researched, fact-packed text of this series has captivated young and older readers alike, and established the “Eyewitness Guides” series as the perfect way to learn. Eldest and N finished this one just yesterday. We've taken the boys to Warwick castle a fair number of times as well as other castles in the area. He loves the idea of knights and swordfights. Some of the information in this book were probably a little over a 4 year old's head, but if Eldest wants to learn more about a subject, it will not be me who says no to him. This one covered different aspects of a castle from the high walls, the towers, the moat and portcullis to the kitchen, the chapel and great hall. It showed how the style of castles different in Europe as well as castles in Japan. There's information on knights and jesters and minstrels. There was mention of the food eaten and the roles of women and children and I'm sure the next time we're at a castle, Eldest will be showing off all the stuff he's learned! Up next, who knows? There really aren't many limitations. To learn more about National Non-Fiction Day, please do visit the website. I find in the school library that boys gravitate towards non-fiction. Partly because they like immediate gratification and want a reward now. A quick fun fact rather than waging a war through a long novel. I guess I share your Eldest's need to know how things work at least in terms of space, the universe etc. Great post! What a wonderful post - I loved reading this! I love those DK books. Happy reading to your son! I agree with Becky, it's the instant gratification that attracts them. My husband still struggles with stamina to read a novel and yet can spend a whole evening reading and researching Ancient China for his lessons. My son refuses to go to the library (as a librarian, I weep at this) because he wants to OWN his books! But then if I am being 100% with myself, I was the same at his age (I still am now!). So his enjoying non-fiction is a costly business! He was never into trains however so it is good to see books reviewed that we would never usually see at home. Great post! That is such a lovely post. I am so pleased that your eldest has found a place in the library that he loves. I am still working on my girls. I used to love the non-fiction section when I was a kid, anything to do with animals and then anything about Ghosts when I got older. Those sections are quite good! Vivienne - Good luck to you with your girls!